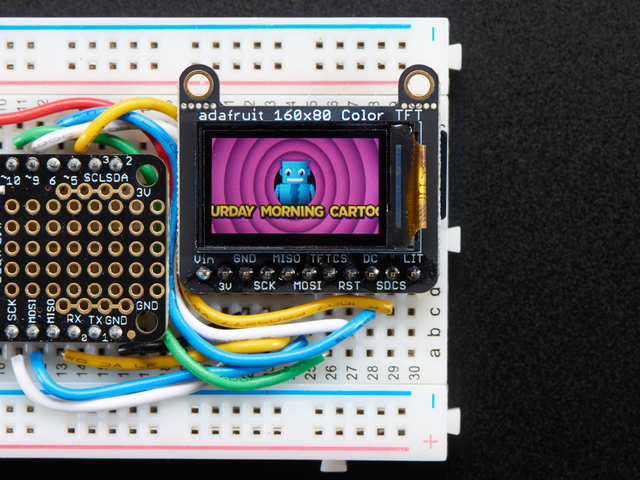 It's the size of your thumbnail, with glorious 160x80 pixel color... it's the Adafruit Mini TFT Breakout! This very very small display is only 0.96" diagonal, packed with RGB pixels, for making very small high-density displays. The display uses 4-wire SPI to communicate and has its own pixel-addressable frame buffer, it can be used with every kind of microcontroller. 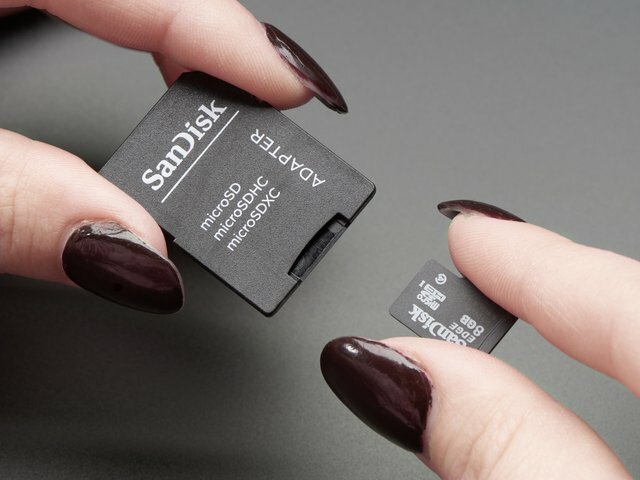 Even a very small one with low memory and few pins available! 4 wire SPI digital interface - SCK, MOSI, CS and DC pins. This guide was first published on Jun 21, 2017. It was last updated on Jun 21, 2017. This page (Overview) was last updated on Apr 20, 2019.